The Scottish Government has begun a consultation process on proposals to introduce a Lobbying Transparency Bill. The Government wants to introduce a register of "lobbyists who directly engage with members of the Scottish Parliament and Scottish ministers", it said in a statement. 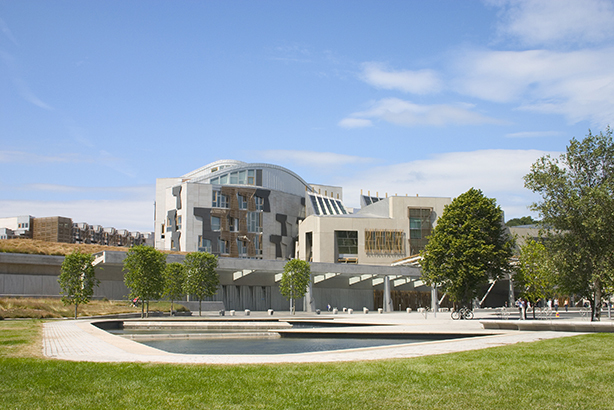 The Scottish Parliament’s Standards, Procedures and Public Appointments Committee conducted an inquiry into lobbying and published its findings in February. Its remit was to "examine whether there is a problem, either actual or perceived, with lobbying and, if so, how this can most effectively be addressed; to what extent a register of lobbyists would help with this process, who such a register should cover and how it would be operated in practice; and whether other steps might be needed to improve probity and transparency in this area". In its findings, the committee stated that a register of lobbying should be established in order to make lobbying activity "more transparent and accessible to the public". The proposed register would cover "significant" lobbying activity defined as being where organisations either have sustained contact with politicians or spend significant resources on trying to influence them. The Government said it was now inviting comments on the proposals until 24 July from all interested parties. In its response, APPC Scotland said the most cost-effective way of achieving openness and transparency on lobbying would be for ministers, civil servants and MSPs to publish the relevant sections of their official diaries. It said it would only support the introduction of a register if it applied equally to everyone "who engages in lobbying on a professional basis", including law firms, management consultancies and think-tanks. However, APPC Scotland said it was "fundamentally opposed in principle and practice" to including financial information on a new register. Peter Duncan, chair of APPC Scotland, said: "APPC Scotland and its members support sensible measures to improve and ensure transparency in the political process. Any statutory register should seek to achieve this aim but in a proportionate manner that does not become overly burdensome on the industry." The Association for Scottish Public Affairs also welcomed the proposal for a "level playing field" including all organisations that engage in lobbying and said there should be "no exemptions". Alastair Ross, secretary of the Association for Scottish Public Affairs, added: "We also want to see a scheme that’s proportionate and so the registration of meetings, rather than telephone calls, emails and other public affairs activity, seems a reasonable requirement. "However, we still lack detail on points such as what constitutes 'significant' lobbying activity or 'minor, infrequent' lobbying, and the criminal sanctions ministers have in mind when they talk about a regime with sufficient ‘teeth’. "There are a number of contrasts with the UK Register of Consultant Lobbyists, not least that Scotland’s proposing a no-fee register. Will the UK and Scottish regimes learn from one another’s experience?"